The election of Manushi Chhillar as Femina Miss India 2017 was warmly received by the vast majority of Indians. Manushi is expected to represent India in the best way possible at the Miss World 2017 pageant which is slated to be held in Singapore and Sanya. After all, she’s an aspiring medical doctor born to doctor parents. Her background and her story will be appreciated by the pageant organizers. However, there are millions of Indians who are unhappy with the overall results of Femina Miss India 2017. These are the Indians who reside in the northeast section of India. 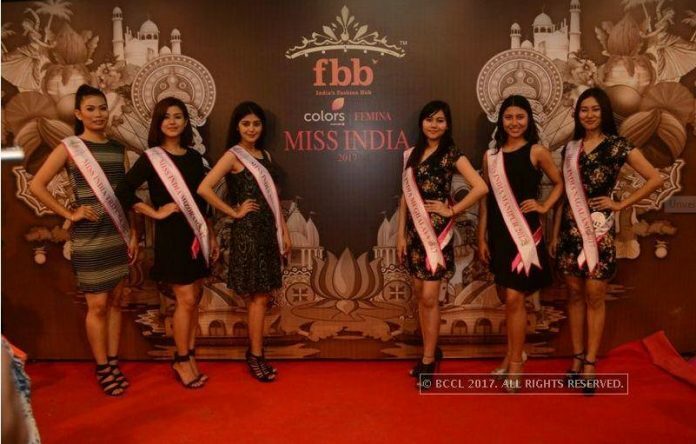 Their chief complaint is that Northeastern States were largely ignored and they believe that at least one of their contestants should have advanced at the Top 6 of Femina Miss India 2017 contest. Northeast India is composed of 7 states: Arunachal Pradesh, Assam, Manipur, Meghalaya, Mizoram, Nagaland, and Tripura. These states are connected to the rest of India by a narrow strip of land called Siliguri Corridor. Geographically, Northeast Indians are quite isolated so much so that they call the rest of India as the mainland. 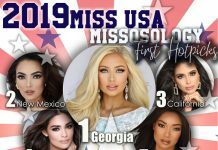 While it is true that the winner last year, Priyadarshini Chatterjee, was from a Northeastern State, the truth is that the vast majority of people residing in these areas look like Eastern Asians with narrow eyes and light brown skins. They are one of the most nationalistic people on earth and they always insist that they should always be identified as Indians. But they are also aware that their looks do not conform with the usual notion of what an Indian should look like and the rest of India look at them with fascination rather than as one of them. Rochelle Rao is one of those rare East Indian beauty that represented India in the world stage. She competed at Miss International 2012. In one instance, an Indian child actor who hails from Northeast India was once asked by an Indian press on what it feels like to be in India for the first time. This shows that racism still permeates within the Indian society and it is alarming considering that India is one of the most diverse countries in the world (a fact that eludes both the foreigners and the Indians themselves). Still, Northeastern States actually overperformed in this year’s Femina than most of the regions in India. Mizoram, Arunachal Pradesh and Assam all made it to the semis and had better placements than say the Southern States. It is also true that the Femina state contests in the Northeast received a tepid response from the public with very low participation. The point though is that India is diverse and so should the beauties that represent it. Unfortunately, the concept of being beautiful in India means that you should be paled-skinned and even preferable if you have blue or green eyes. No wonder that skin whitening products is a billion-dollar industry in the country. On when will Femina Miss India crown a dark-skinned Tamil woman or an East Asian-looking Northeasterner is still unknown. The Indian pageantry industry now seems to be used by aspiring women as a stepping stone to Bollywood rather than bringing the crown for the country. 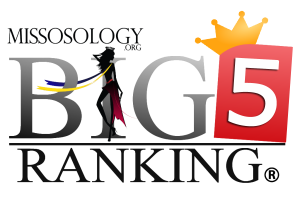 No wonder India is underperforming in most of the Big5 pageants. It is now the time for Femina Miss India to assess its strategy. It did well by having state by state contests this year but to encourage the rest of India, it must appreciate the diversity that their country has to offer. 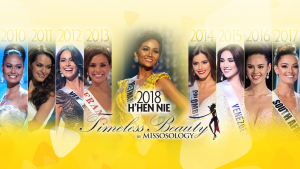 Next articlePhilippines to host Miss Word 2019?